This tip was written for the Chrome browser on Windows 10 (any version). 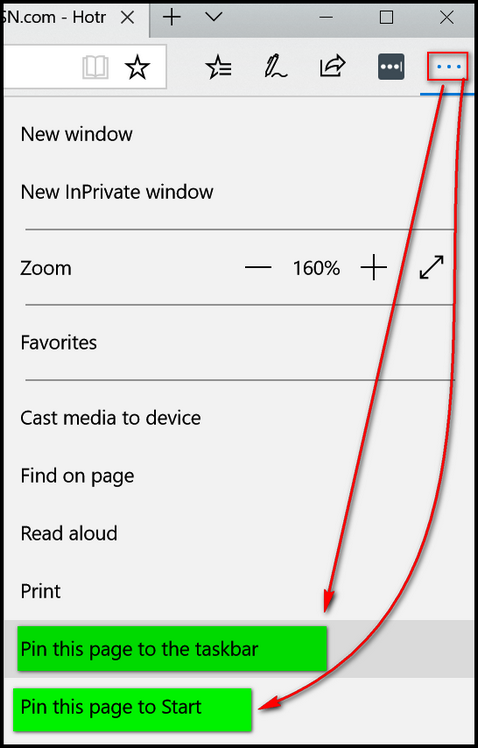 We’ve also added instructions for Microsoft Edge users. If you’re using Firefox, IE, Opera or other browsers, you can drag the URL from the Address bar on any browser to your desktop. If you use Chrome and you’d like to put a shortcut on your desktop or taskbar to Facebook, Gmail, Outlook.com, Twitter, Cloudeight InfoAve or any of your favorite sites, it’s super easy to do. In Chrome, visit the site you want to create a shortcut to. Click on the settings icon (3 vertical dots) at the top right corner of Chrome. 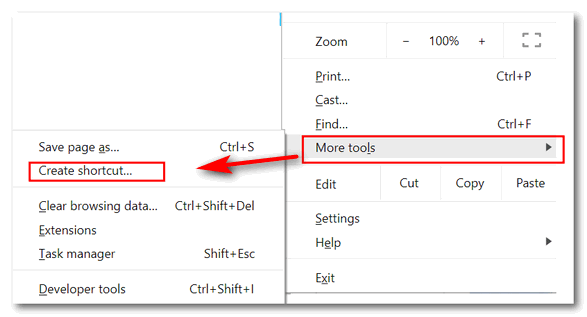 Click “More tools” then click “Create shortcut…”. That’s it! Now if I want any of those shortcuts on my taskbar, all I have to do is right-click on one and choose “Add to taskbar”. See? I’ve added Cloudeight InfoAve Tips & Tricks web site and the Gmail account I used most to my taskbar. It’s quick and easy. Try it! You can also right-click on the shortcut and choose “Pin to Start” which pins the shortcut to your Windows 10 Start menu. Here is our InfoAve site on my Windows 10 Start menu. We extended some of our great CyberWeek Specials through Sunday, December 2, 2019. Here they are in a nutshell! Still waiting for my Emsisoft to be renewed – paid for 2 weeks ago. Please help! Hi Bill, I have answered all of your mails the past two weeks, I have filled your order and you keep writing as if I have not responded, so my guess is your rr.com mail is using a faulty mail filter and my responses are going into spam or junk folder. Please send me an alternate email address so we can get our responses to you! Best to you, and sorry you are having problems with your email. I doesn’t say add to desktop on my chrome. It also works on Windows 7 with the latest Google Chrome version.